Again, I’m not a big fan of poetry but some of these pieces are brilliant. There are shades of Mayakovsky but much more lyrical and decadent. Or rather there are shades of Blok in Mayakovsky. The poems are quite visceral but the edges are taken off and enriched by the symbolism and incredible turn of phrase that Blok had. You can see why Mayakovsky the younger poet wrote a companion work directly influenced by ‘The Twelve’ as there are some similarities between the two writers. This will be very nice to dip into now and again. I have another translation of ‘The Twelve’ so I may compare the translations out of interest. Well worth my time. Many nods and affirming noises. Soundtrack: Nick Cave – Fifteen Feet of Pure White Snow. An absolutely fantastic collection of short stories. Usually I don’t enjoy shorter works. I always feel as though it is a ‘greatest hits’ album where the songs may be fine in their own right but they are the compositions made more palatable for the audience because they have to have the immediacy of a three minute pop song and in the end ‘shift units’. The stories (or songs) usually have no real link between them. 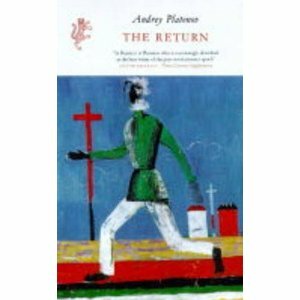 The prose pieces in the Return all work together. There is the same atmosphere found in Platonov’s novels. The works are pervaded by a melancholy strangeness coupled simplicity of prose which focuses on working people and the difficulties of existing. There is hope in each story, even though it may not be immediately apparent, shown by the incredible resilience of ordinary people and their ability to care. It is interesting that the only other collection of stories that I have enjoyed as much as this, Stasiuk’s ‘Fado’, had strong thematic links between the works also. This has left me pining for more Platonov novels so until the final two are translated I may have to read ‘Soul’ again and perhaps the newer translation of ‘The Foundation Pit’. Platonov was a genius. I was put on to this book via a blog that linked to another blog and it sounded interesting. So, I bought it without really knowing what to expect except that it would be on the left side of the political spectrum. I didn’t expect to be assailed by so many interesting thoughts and ideas. Fisher takes both old and new culture and uses it to support his arguments which range from the movies ‘Office Space’ and ‘Heat’ to Spinoza, Nietsche and Kafka. What emerges at the end of the book is that I have been viewing socialism within a old context and in the new neoliberalism, or post-fordism as Fisher puts it, it must redefine itself in order to rival capitalist realism and provide an alternative. Capitalism in 2010 is free market Stalinism full of all the slogans, business-speak, auditing and bureaucracy. Capitalism exerts a control over the populous that Stalin could only dream of. Its strengths are its decentralisation and the illusion of free choice given through the freedom to consume. An excellent book and I will read it again shortly. I didn’t completely agree with everything said. Some of the new auditing controls imposed on teachers, for example, need to be there but maybe the window dressing is a side symptom? Soundtrack: Blam Blam Blam – There is no depression in New Zealand. Absolutely fantastic. This is exactly what I love: picaresque, amusing, ironic, intelligent and surreal. I am not sure how exactly they got this through the censor – possibly because the moral can be seen as being against the filthy lucre. The alternative ending given as an appendix is very interesting as well. As with most picaresque novels there is a search for something or a goal. I really don’t want to give too much away so all I can say is you should read it if you like this sort of thing. I do, so will soon be purchasing the Twelve Chairs and their American Road Trip. As a summary, Ostap Bender is a con man operating in the relatively lax NEP environment of the 1920s. 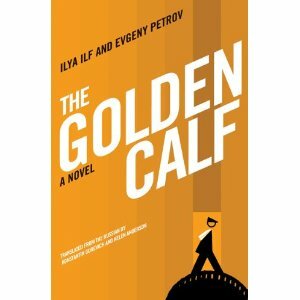 The Golden Calf is the sequel to the Twelve Chairs so I have read this the wrong way round – but no matter. I would really love a sequel to the Golden Calf. Maybe this is something worth pursuing – though it would need to be with an accomplice. Would anyone like to write a sequel with me?